A tour-de-force in the anthropology of ours and other cosmologies. The first official version of the lessons which sparked one of the most influential anthropological movements of the twenty-first century. Eduardo Viveiros de Castro (b.1951) is Professor of social anthropology at the National Museum of Rio de Janeiro. He has been Simón Bolívar Chair of Latin American Studies at Cambridge University (1997-98) and Directeur de recherches at the C.N.R.S. (2000-2001). His publications include From the enemy’s point of view (Chicago 1992), A inconstância da alma selvagem (São Paulo 2002), Métaphysiques cannibales (Paris 2009) and The inconstancy of the Indian soul (Chicago 2012). 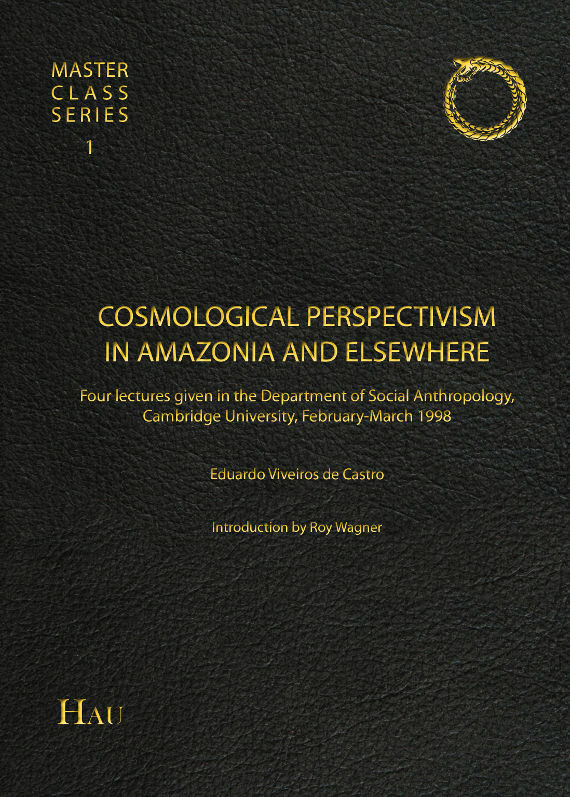 Eduardo Viveiros de Castro’s seminal lectures on cosmological perspectivism provide a careful and highly innovative introduction to many themes that have become central to the ontological turn in anthropology, including multinaturalism against multiculturalism, transformation/exchange versus creation/production, and performativity replacing representation. They offer invaluable insight into an anthropology operating in a space where we have been neither modern nor primitive. One can think of the particular turn of thinking we associate with anthropology as a concerted calibration of two scales of alterity: one that plots difference on geo-cultural coordinates, from one society to another, and one that measures distances on the terrain of the imagination, from thought to thought. Anthropologists translate ethnographic alterities into intensities of argument, transfiguring the aporia of ‘culture shock’ in the awe of brilliant thinking. This is an image I learnt from Eduardo Viveiros de Castro’s 1998 lectures, which I attended as a graduate student. Concertedly blowing our mind over four weeks—the effect of the lectures on me and others at the time was nothing short of psychotropic–Viveiros’ intense anthropological wit transposed us to Amazonia and – but mainly as—elsewhere. 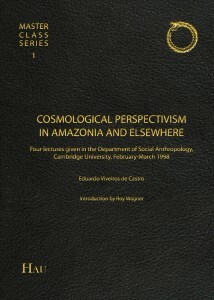 By way of a kind of guided reverse engineering, the brilliance of Viveiros’ argument was made visible as a function of the intensities of Amazonian and (or ‘as’) other ways of living. In the process, anthropology itself was made visible as a form of living dedicated to just that: making other forms of living visible; which is to say imaginable, conceivable.